Really lovely up here today, blue sky and SUN. Weather looks good for the weekend also. Congratulations to Jamie Ryland and Brian Cockburn who have made the finals to play Warwick Evans and Nigel Messenger in the Ade Waddell Memorial, this will be played tomorrow – Good Luck to you all. Monday 14th August the office/shop will be closed all day. Friday 25th August we are hosting the Lady Golf Veterans, the course will not be available until late afternoon, so this would be a good opportunity for members who play on a Friday to grab their Bonus Cards to play at Shandon or Judgeford. Invicta Trophy Round 1 for the Men is on Saturday 26th August, round 2 on Saturday 9th September. The concept of this competition is best 2 rounds of Stableford on specified Saturdays. NO CARTS today. The course is so wet even our green-keepers can’t use tractors and are walking around doing their jobs. Saturday – we have a couple of groups teeing off early morning, plenty of tee times available after 9.00am. Plus Ade Waddell Memorial Finals. Sunday – Club Day – Golfer of the Year Rd 7 for the men. 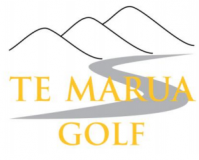 Tuesday – MW Men, 9 holes Gross Rd 1. Wednesday – MW Women – Match Play Championships, Others Stableford.